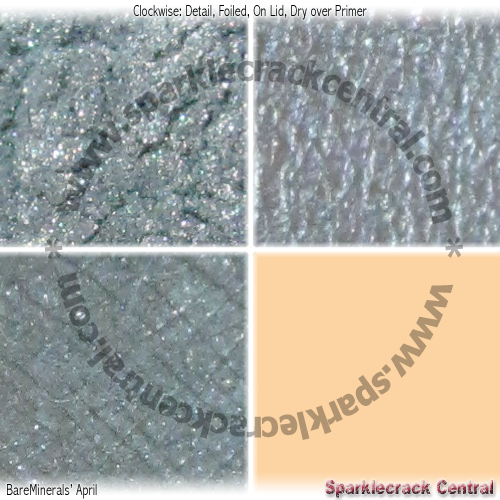 Not much shimmer in this one either…but this is the shimmeriest color in the collection. 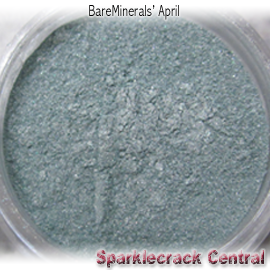 It's a raincloud-slate blue-grey that will look amazing with grey-blue or brown eyes. It might look less striking paired with hazel eyes, but it will still accent the eyecolor very nicely. I don't know how green-eyed folks would fare with this color, though I'm willing to bet that a greyed green (or a green-hazel) would look stunning. 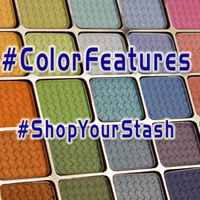 This color lets just a little of my skin-tone to show through, when swatched; and other blogs' swatches I've seen of this color show its dry application as being semisheer. I definitely like the results when I stipple (pat) this color onto my lids, rather than apply it as I regularly apply eyeshadow.